Donate here to help PDA and Keith Ellison! We need Keith Ellison as our next DNC Chair! He will promote the energy, focus, and effective organizing we need now! Find out more about Keith here. 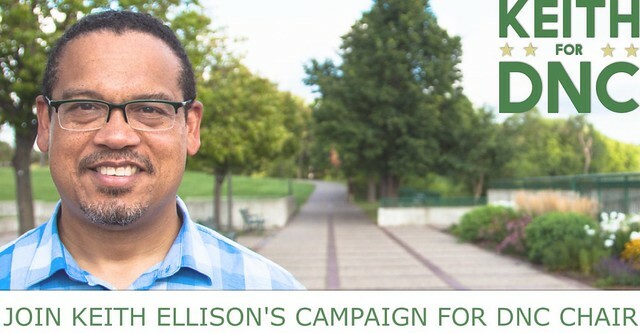 Will you help us support Keith Ellison? We need you to pitch in whatever you can afford right now to help! Money tight? Sign up with Mike Fox for other ways to help. Too busy to volunteer? Pitch in $500, $50, or even $5 to help PDA support our Advisory Board member Keith Ellison for DNC Chair.